The Hungarian Football Federation (MLSZ) did not authenticate the UTE pitch located on the Pamutgyári field (today in Erkel Gyula Str.) in 1903 due to its inadequate size, so the football players had to look for another home turf. The leaders of the club decided to build a new pitch on Népsziget. The construction was completed quickly and the pitch was inaugurated on 24 May 1903. The Népsziget pitch had served Újpest, the football players and the supporters for almost two decades. Based on the accounts of the newspapers that time, the highest viewer count was recorded in December 1920, when about ten thousand spectators watched the Újpest-MTK (1-0) match. The pitch was surrounded by tall trees and the field of play was surrounded by fence and benches. The Ministry of Agriculture, owner of the area cancelled the lease in 1921. Time came for leaders of UTE to construct a new pitch. The new stadium was completed thanks to the contributions of Újpest citizens and companies on 17 September 1922. The Stadium. This was the first to receive the denomination stadium in Hungary. The first to have reinforced concrete structure, the stadium provided 200 covered lounges and 20,000 seats waiting for the supporters. Újpest hosted Ferencváros in the opening match where they beat their competitor 2-1 in front of 15,000 spectators. A velodrome surrounded the grass pitch between 1925 and 1928. Sector B also received covering in 1930. The next big change came in 1945. This year a huge flood almost destroyed the venue. Wood was carried away by people suffering from cold during the war-time. However, this was the year that also brought revival. The stadium was fully re-constructed and expanded to provide space for 45,117 spectators. After the Hungary-Romania (9-0) match in 1948, the establishment called Megyeri Road Stadium became Hungary's national stadium and home of the national selected team. The national eleven played their matches in this venue until the construction of Népstadion in 1953 was completed. The record in the number of viewers was set during this period, about 50,000 were interested in the Hungary-Austria match on 3 October 1948 and on 8 May 1949, and the Hungary-Sweden on 20 November. The record for the Újpest matches was also set, 40,000 spectators crowded up to watch the Ferencváros match in 1949. The stadium went into state ownership in 1948. The club was forced to hold its bigger matches in Népstadion from the late 50s, so losing the advantage of home turf. The capacity of Megyeri Road Stadium was not necessary against smaller teams. To conform to the new situation, running track was constructed in the stadium at the end of the 50s. As a result, parts of the sectors were cut off and the capacity was decreased to 32,000. The next change in 1962 was the opening of an ambulance entrance in the middle of sector B. The Újpest fans occupying the whole sector were cut in two. Lighting was completed in April 1968 for the match against Vasas. The lamp posts were inside the sectors and further areas had to be cut off from them, capacity was further reduced, although minimally. Minor changes took place in the 70s, a huge storm damaged the roof of the tribune sector, which had to be pulled down. For the first time since its construction, the stadium was open without roofing. Not much was spent on the stadium in the 80s. A single event of importance was the installation of a new lighting system in 1989, which was indispensable in order to provide sufficient brightness for the colour broadcasts. Nothing changed until 1998. Then the club carried out maintenance in the VIP lounge and the benches were changed to seats. Greater constructions began in 1999, and the modern stadium with 13,501 seats, exclusive VIP boxes and leather VIP armchairs was inaugurated on 15 November 2001 by the Hungary-Macedonia (5-0) opening match. Since then, two major changes have taken place. The main building was completed in summer 2003, and on 25 October 2003 the stadium received a new name. 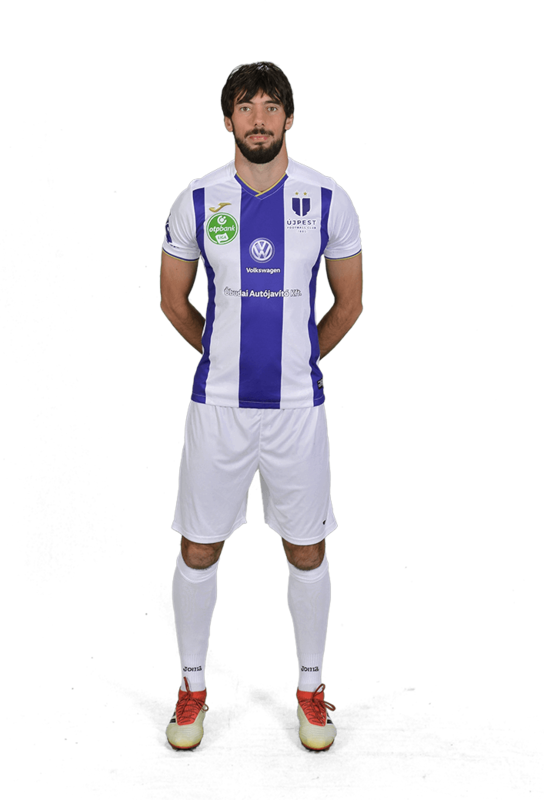 Since the Újpest FC-MTK match, the establishment bears the name of the once legendary player of Újpest, its official name is Szusza Ferenc Stadium.